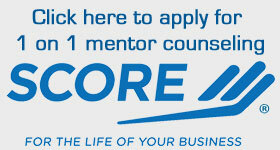 The #1 SBA lender in Wisconsin.Focused on helping small businesses succeed. Because I am well-versed in all aspects of business law, I know what it takes to partner with you to reach your business and personal goals. Since 1937, Fox Communities Credit Union has been here, in your neighborhood. We’re friends… and we’re family. The marketing agency that’s more than just a marketing agency Candeo Creative was founded on a simple notion: finding marketing that works for our clients. Focused coverage on the Northeast Wisconsin region that matters most to you and your customers.